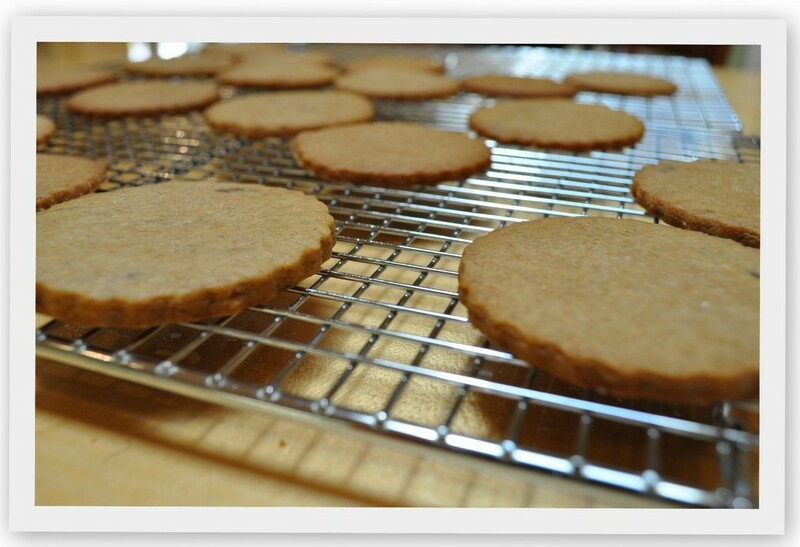 Ever thought of making homemade graham crackers? The thought never crossed my mind until recently when we visited Modern Cookie Company, a local cookie shop in Larkspur. We ordered these decadent s’mores on homemade graham crackers and we just about flipped out of our seats they were soo good. The s’mores were so amazing that I wanted to turn this experience into something I could replicate at home, so I challenged myself to creating a version of my own. Update: I have posted the s’more recipe and you can see it here. It’s wonderful because it’s something you can make year round. It also has a unique topping. Enticed are you? 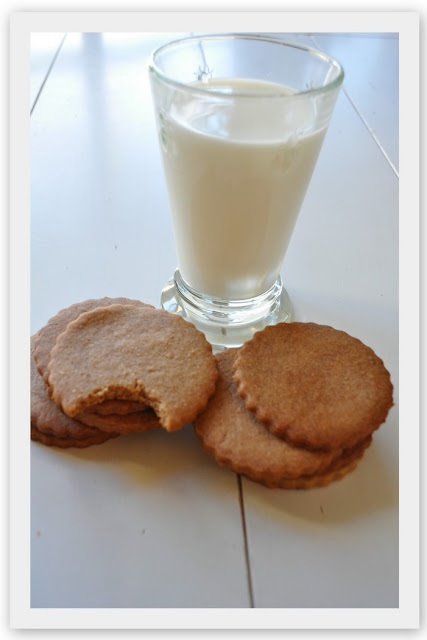 I didn’t even have a clue as to what ingredients even went into a graham cracker so I googled homemade graham crackers and stumbled upon Tracey’s Culinary Adventures. Her recipe looked easy enough and I like the fact that they had some whole-wheat flour in them as it made them seem a bit more nutritious that I had originally thought. The other bonus was the ingredients required were all things I had on hand at home. I wanted to replicate the graham crackers I ate at the cookie shop so I used a cookie cutter here instead of making them into the traditional graham cracker shape. 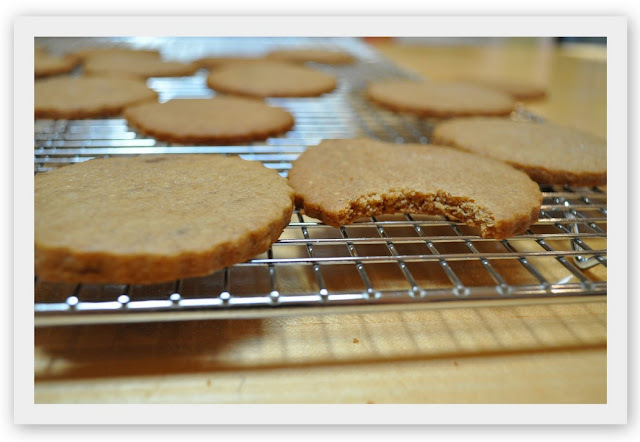 If you like the look of the traditional graham cracker then link over to Tracey’s site and she will show you how. These graham crackers are more buttery and cookie-like than the store-bought variety. They are sweet but not to sweet. 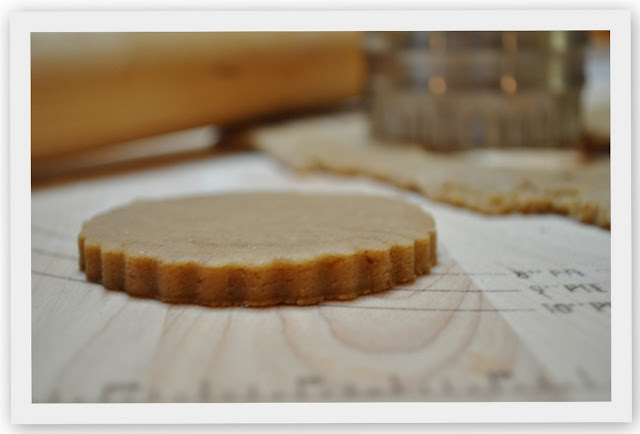 Once you try this homemade cracker you may never go back to the store bought variety again. In a medium sized bowl, whisk together the flour, whole-wheat flour, salt, baking soda and cinnamon. 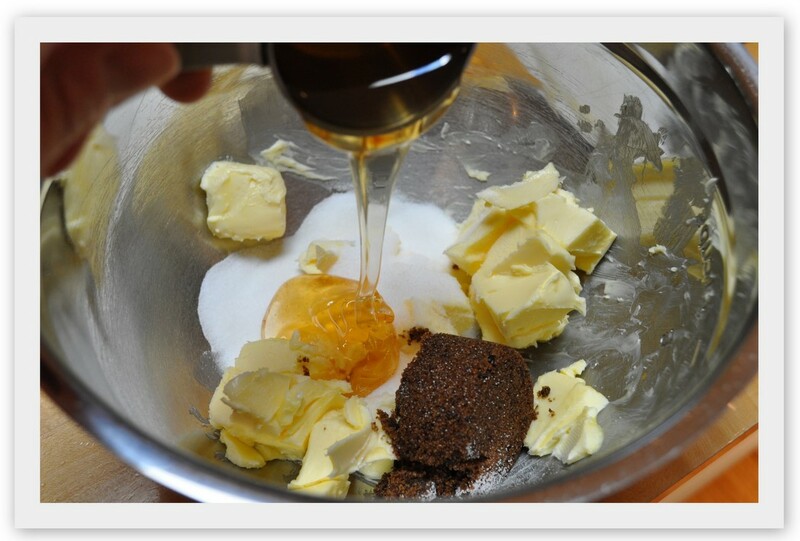 In a large bowl, combine the butter, dark brown sugar, granulated sugar, and honey. 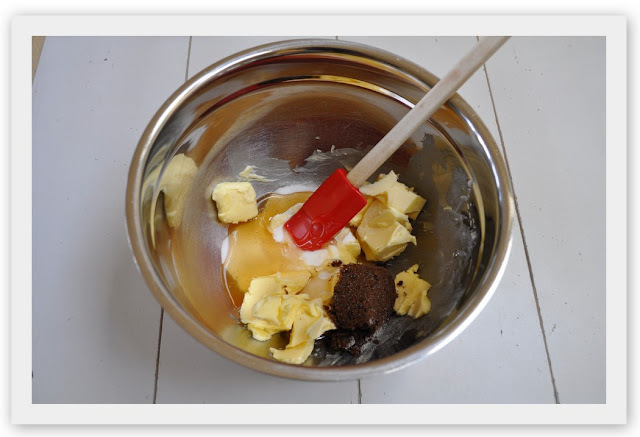 Use either a standing mixer fitted with the paddle attachment or a hand held mixer. Mix on medium speed until well combined, about 1 minute. 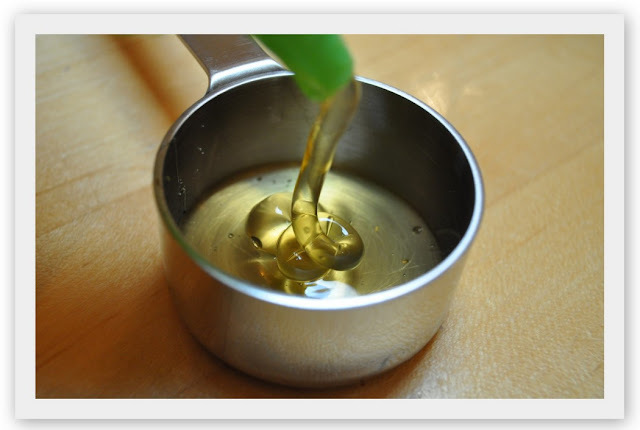 Add the dry ingredients in 2 additions, letting the first fully incorporate before you add the second. 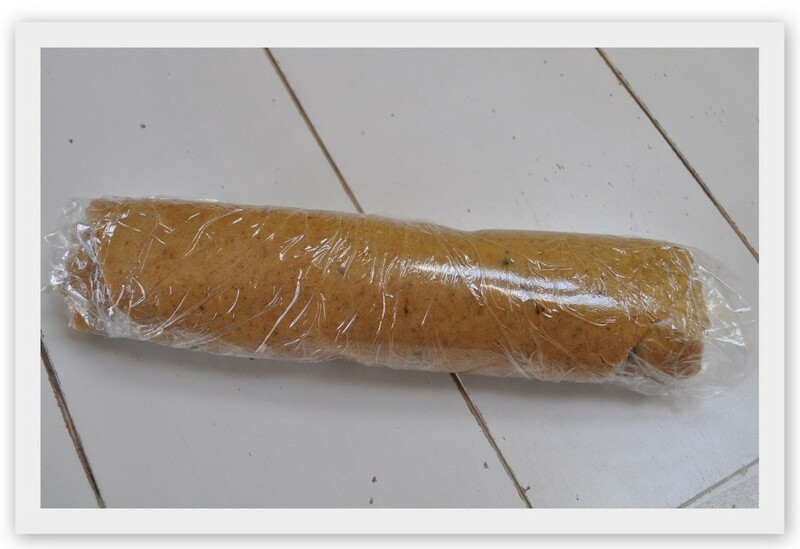 Lay out some plastic wrap on your table, place the dough on it, and roll it out into a large rectangle. 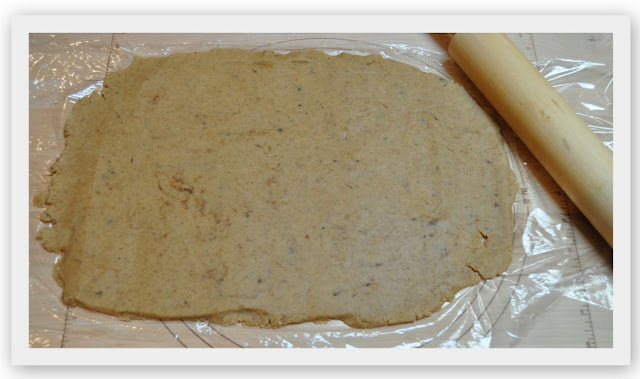 Roll up the flattened dough tightly in the plastic wrap, and refrigerate until chilled, about 30 minutes or up to 2 days. I refrigerated mine for a day and it felt like a log when I took it out (don’t worry the dough will soften from the heat of your hands when rolling it out). 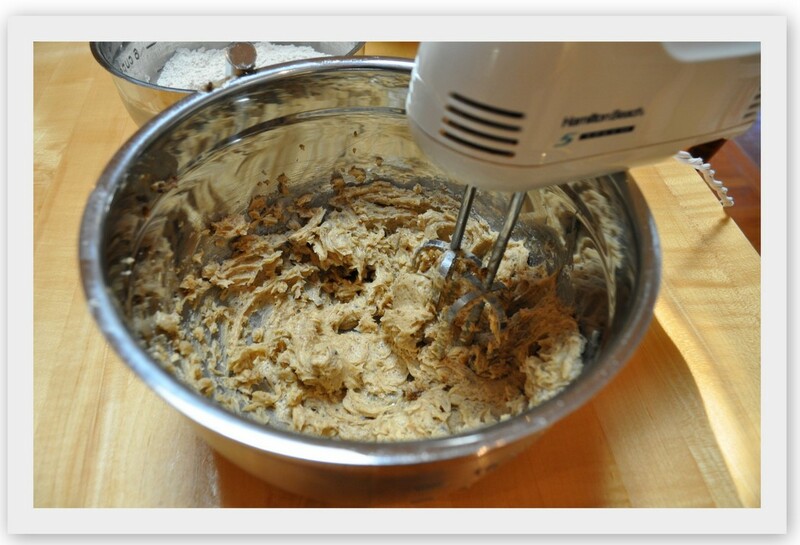 Unwrap the chilled dough, and on a lightly floured surface, roll it out till it’s about an 1/8 inch thick. Note: I didn’t roll out all the dough at once. I rolled it out in smaller sections and then used my cookie cutter on each section. Please ignore the brown spots in the dough, that is just my brown sugar that didn’t incorporate. 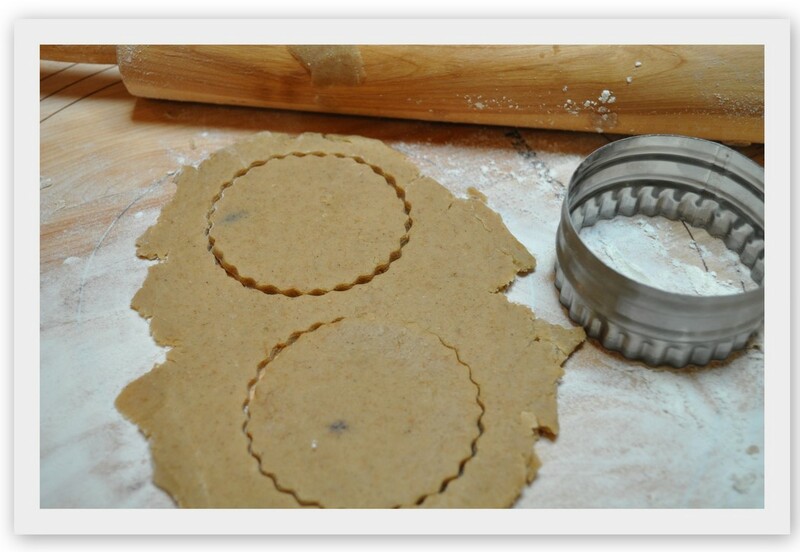 Take your cookie cutter and cut away. 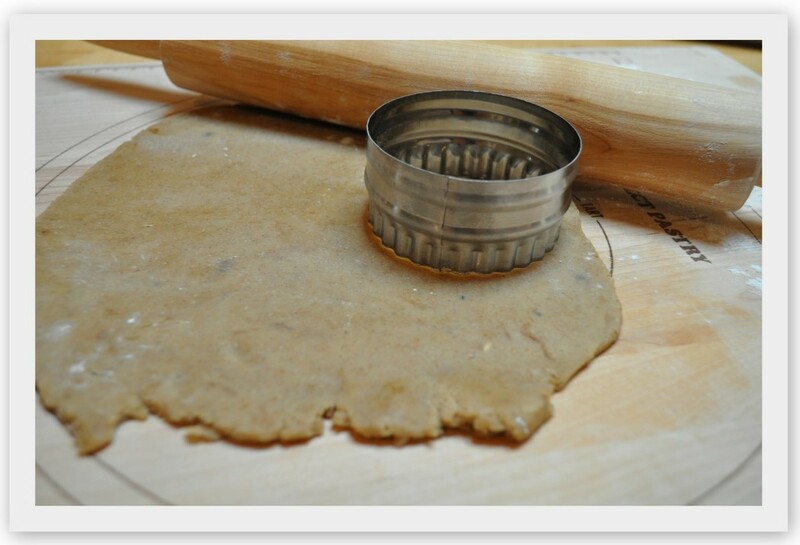 Keep re-rolling the scraps of dough and repeat the cutting process until all of your dough is gone. 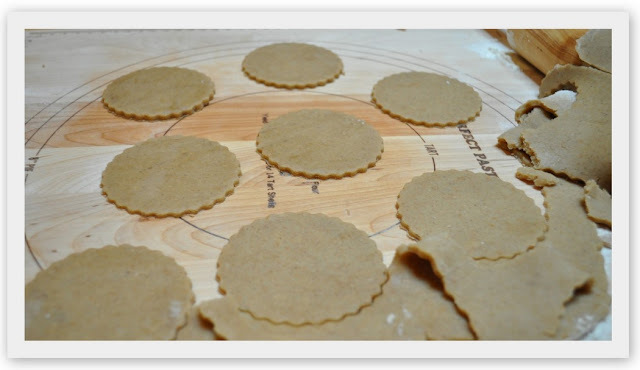 Place all of the cut crackers on your two prepared baking sheets. Note: At this time you can top each cracker with some cinnamon and sugar or just sugar if you want. I didn’t add anything as I knew I was going to make s’mores with most of them and didn’t want the added sugar. 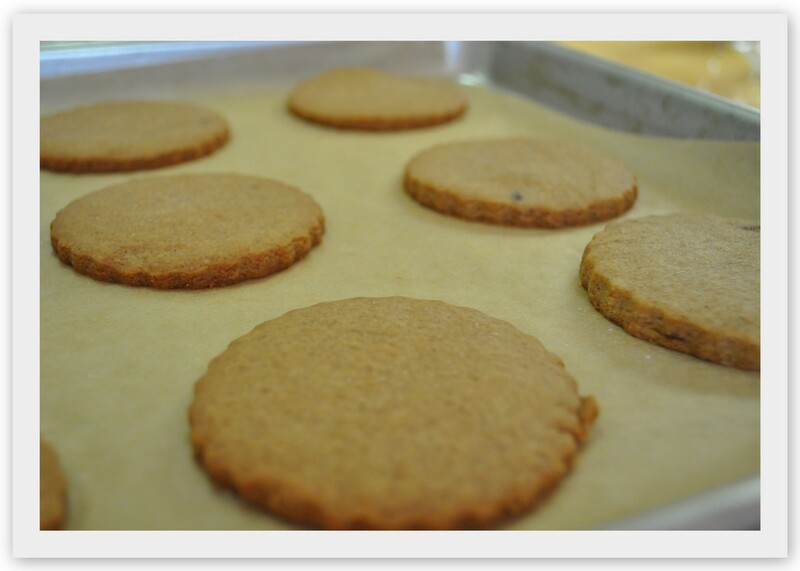 Bake the graham crackers, rotating the baking sheets halfway through, until they are golden brown, 15 to 20 minutes. Oven cooking times vary, so just keep your eye on them after 12 minutes. I had one batch that was perfect and another that was a bit crispier, but still great! Cool crackers on a wire rack. 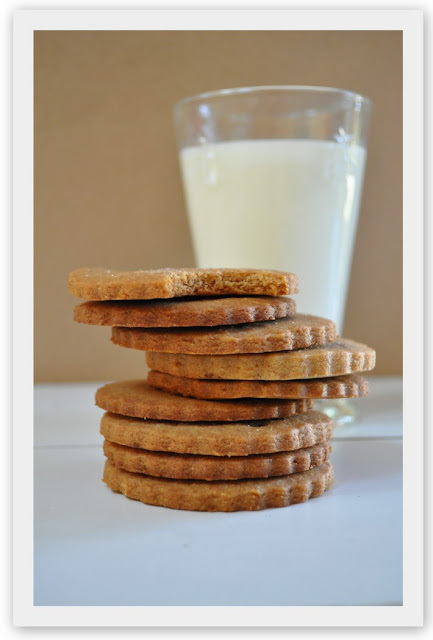 Store your graham crackers in an airtight container at room temperature and they should keep for a week. I had just finished lunch so I helped myself to that glass of milk and 2 graham crackers. They were the perfect afternoon treat. I’m dying to try these…I have something called graham flour and I’m not sure how it differs from regular whole wheat. I bet your s’mores were amazing. I find making homemade Graham Crackers fun and exciting. I would like to take this opportunity to wish you and your family a Merry Christmas and Happy New Year.